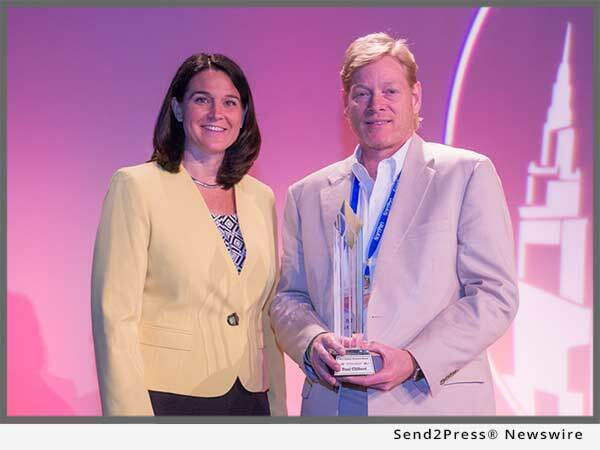 Simplifile, a leading provider of real estate document collaboration and recording technologies for lenders, settlement agents, and counties, announced that Paul Clifford, president, was recognized with the 2017 October Research Award for Innovation for his leadership in establishing Simplifile’s e-recording network, along with other achievements in support of the title industry. PROVO, Utah /Mortgage and Finance News/ — Simplifile, a leading provider of real estate document collaboration and recording technologies for lenders, settlement agents, and counties, announced that Paul Clifford, president, was recognized with the 2017 October Research Award for Innovation for his leadership in establishing Simplifile’s e-recording network, along with other achievements in support of the title industry. Now in its sixth year, the October Research awards program honors leaders in the title, underwriting, lending, and settlement services industries for their accomplishments in the areas of leadership, innovation, and philanthropy. Erica Meyer, CEO and Publisher of October Research, presented Clifford with this year’s Award for Innovation at the 13th annual National Settlement Services Summit (NS3) in San Antonio. Under Clifford’s leadership, Simplifile has grown the largest e-recording network in the industry, covering more than 75 percent of the U.S. population and making faster, more cost-effective, and more secure recording available for the vast majority of real estate transactions. He has also been a driving force behind Simplifile’s pioneering Collaboration and Post Closing services, which enable settlement agents and lenders to efficiently coordinate in real-time on closing disclosures and post-closing activities to reduce compliance risk, fines, and lost revenue. “This award honors the entire Simplifile team, who have worked tirelessly to support e-recording-friendly legislation, educate the marketplace, and continually enhance our Collaboration, E-recording, and Post Closing services to meet the evolving needs of our users,” said Clifford. October Research, LLC is the nation’s leading independent provider of market intelligence, industry news, expert opinion and regulatory information for professionals in the real estate, title, financial and settlement services industries. The company was founded to be the unifying, agenda-free voice of these industries and the professionals that support them. We have been headquartered in Richfield, Ohio, since our inception in 1999, and still boast the only full-time, independent newsroom devoted to providing in-depth coverage of the top real estate, title insurance, financial and settlement services issues.